PHIX cooperates with main players in the photonics industry in the PIXAPP consortium, led by Ireland’s Tyndall National Institute. PHIX has an excellent position to broaden assembly, development and scale-up to volume production. With our partners we develop packaging standards to enable cost-effective PIC packaging. The aim of PIXAPP is to develop generic packaging solutions in the marketplace in order to drive down the price of the final product. As such, the market penetration of PICs is to be accelerated. 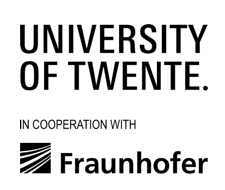 Standardization of the processes also takes place in cooperation with different partners such as LioniX International and the Fraunhofer Project Center at the University of Twente.